Howdy ya’ll! It’s Mr. Greg from The Kindergarten Smorgasboard! Today I want to share 4 tips for more effective classroom management! You can get these at any big box store for about $10-15. The doorbell plugs into a standard plug. The button is wireless so you can take it anywhere! I actually glue mine on a clothespin so I can clip it to my shirt and wear it all day. 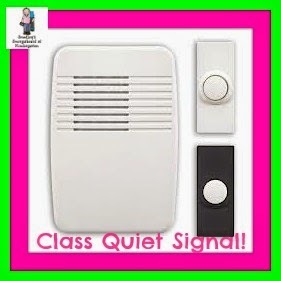 Anytime I need my class’ attention, I just push the button and ring the doorbell. Everyone stops, gets quiet and looks at me. This is a procedure that we learn from day one. We practice and practice the routine and expectations until we have it down. People, the bathroom in my classroom was gross. Just disgusting. I tried everything to get the boys to stop missing the toilet. EVERYTHING. We even talked about what goes on the floor goes on our shoes and what goes on our shoes goes in our classroom. And what’s in our classroom goes on our hands…and our hands go…well, you get the picture. But not the 5 year olds. This guy is a miracle worker. I simply drew a spider using a Sharpie. (Wear your gloves and do it in the summer before school starts…more sanitary!). 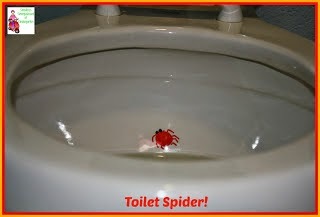 The boys love to aim for the spider!! I teach them on day one that we have to get the spider so we aim for him. THEY LOVE IT! And the best part? No more mess on the floor! Spend time at the beginning of the year on procedures. Spend lots of time on procedures. The more time you spend on procedures, the less time you’ll spend on behavior. This investment in time at the beginning of the school year means more academic time later in the year!!! So, what procedures should we teach? EVERYTHING. I repeat, EVERYTHING! If there is something you want them to do be able to do independently, teach them how. Model it. Practice it. Show the wrong way to do it and discuss why it’s wrong. Model. Practice. And if things get a little loose…stop, reteach the procedures and practice until those procedures are strong! Another tip with procedures and routines is to acknowledge the positive! When you see someone following the procedures, acknowledge it! Others will fall in line quickly! And finally…the most important, but often the most overlooked key to great classroom management? RELATIONSHIPS! Get to know your students. What do they like. What is home like for them. Once they realize that you care, they will trust you. Once they trust you, the behavior gets better. This can be hard with some of our students, but it’s necessary and worth the time! 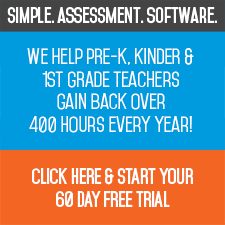 What are your favorite classroom management techniques and tips? Leave a comment and share your ideas! 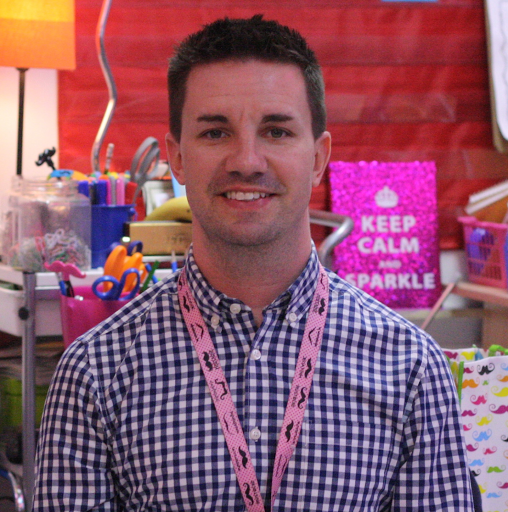 Our guest blogger is Mr. Greg Warren from The Kindergarten Smorgasboard. We hope you enjoy it! Howdy! I have been teaching for 9 years. I spent a year teaching fifth grade, two years in second grade and 6 years in Kindergarten. Kindergarten is my passion and my calling. But honestly, that wasn't how it started. When I was moved to Kindergarten (not voluntarily!) I called my mommy and cried. But on the first day, I fell in love and knew that I had found my calling. I have my bachelor’s degree from Indiana University and received my ELL certification from David Lipscomb University. In 2014 I was selected as Teacher of the Year for my school. I have also spent two summers teaching in Ecuador. When I'm not teaching and blogging and doing all things teacher, I live in Nashville, Tennessee with my husband (The Mister) and our dog, Butters (the CEO of The Kindergarten Smorgasboard). For more ideas, information or to contact me please visit my website - where mustaches, glitter and great teacher collide! !